In preparation for traveling with my son, I researched the rules regarding Global Entry (which also includes TSA Precheck) and children. Specifically, I wanted to find out: do children have Global Entry if one of their parents does? Are Children Included Under Global Entry? Can Children Sign Up For Global Entry? Is it Worth Signing Up Your Child for Global Entry? No. Children cannot use the Global Entry kiosk with their parents. Only Global Entry members can use the Global Entry kiosk and Global Entry benefits cannot be extended to others. Important note: If you have Global Entry you also have TSA Precheck benefits. TSA Precheck will extend to your children age 12 or under when going with you through security. Yes, minors may enroll in Global Entry. Your child may sign up for Global Entry even if you do not have it. Minor children 18 years or younger are required to have parental or legal guardianship permission to sign up for Global Entry and a parent or legal guardian must be present at the time of the Global Entry interview. 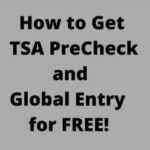 Read More: If you are considering signing up for Global Entry see related posts Global Entry: Application and Interview Process and How to Get TSA PreCheck or Global Entry For Free. For me, it is not yet worth the time and expense involved in enrolling my baby for Global Entry. He will already have TSA Precheck benefits when traveling with me because I do. 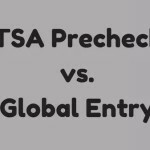 TSA Precheck is a big part of the appeal of Global Entry and I use my TSA Precheck benefits more than I do the Global Entry part. The only time there would be an issue is when returning to the US after international travel as he would not be allowed to use the Global Entry kiosk with me. Still, right now it is not worth paying the $100 Global Entry application fee when he would probably not travel internationally more than once or twice a year (I do have one of the credit cards that reimburse the Global Entry fee but I am using the credit to reimburse myself for my Global Entry renewal). Besides, my home airport Chicago O’Hare has kiosks at passport control for those without Global Entry. I do anticipate my children applying for Global Entry before they turn 13 in order to have TSA Pre-Check benefits (although possibly even sooner if we travel with them internationally more frequently than a couple times a year). TSA Precheck vs. Global Entry: Which Is One Best For You? My wife and I have had Global Entry for two years. 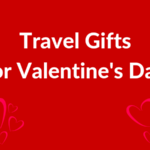 We find it very useful, except when we are traveling internationally (2-3 times a year). My son recently turned 13 so we decided to get our children Global entry because it comes with TSA Pre. 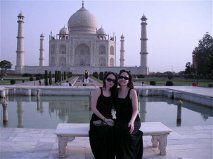 We used the Amex Platinum and Cities Executive AAdVantage card to waive the fee. It has been a good value for them so far. Not sure if I understand your post. You DO NOT find GE useful when you travel internationally? Coming back to the US is where GE shines and makes a breeze to go trough immigration and customs. I can guarantee you it is totally worth it. Used several times and just again 2 days ago coming back from Europe from vacation. Between the time we left the plane and got into a Uber driver it was less than 15 minutes. GE saves a lot of time. Just a note, good luck getting the kiosk to take your kids pictures. It will never work since it does not tell you when it will take. The receipt for the kids never had their pictures on it. Thanks for your feedback. Might have to reconsider my decision on getting Global Entry for N especially if the first few times through immigration and customs without it take too long. I signed my kids up including my youngest back when he was four. Interestingly, kids’ fingerprints don’t fully form until they are often five or six (who knew?). While he was fully enrolled, it couldn’t read his prints until he was around six. I had to swing back to the GE office to get his now-readable prints added. If you had more than one credit card that gives you the $100 credit I wonder if you could use it to pay for your child. My assumption is that it’s an automated credit so it would credit your account. That is my understanding but I don’t have one of those credit cards right now. I plan to have a credit card with a Global Entry credit when it is time to get Global Entry for N unless we sign him up for NEXUS instead. This is incorrect – they fingerprint minors. The “time out’ is only if the print doesn’t register (either at enrollment or at the time of re-entering the country). Nexus is free for minors, and comes with global entry benefits. Good to know! Sounds like NEXUS is a good option for minors to get Global Entry. One word, especially if you’re Canadian or travel frequently to Canada: NEXUS. I don’t travel frequently to Canada but the free part is appealing. Our 6 year old son just did his GE a few months ago, and let me tell you, totally worth it!! We just returned from Costa Rica and Cancun and we breeze thru customs, in and out in 10 min or less in Dallas, TX. We travel often, and do travel (at the least once a year out of the country with him) and the GE is worth every penny. The interview was super easy, fingerprints for him also super easy! Highly recommend. Thanks for the feedback. Agree, worth it if you travel quite a bit with your child especially if your home airport typically has long customs times.